The Northern Ireland care home regulator has cleared a Belfast care home after allegations were brought to its attention. 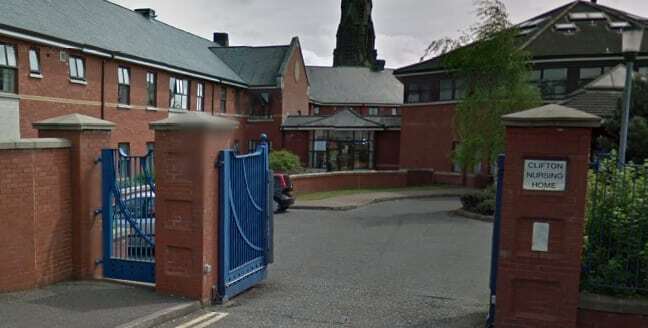 The allegations were brought against Clifton Nursing Home in Belfast which was recently criticised for its standard of care in a report by the regulator (see Belfast care home rapped by regulator for falling below minimum standards). A Runwood Homes spokesperson said: “The report raised a number of concerns which were dealt with at the time and the latest inspection by the RQIA, which occurred just last week, gave the home a completely clean bill of health. “We continually strive to deliver the very highest standards of care at all our homes, dealing quickly and effectively with any issues brought to our attention. Northern Ireland, like the rest of the UK, is experiencing problems recruiting and retaining experienced members of staff, which can lead to challenges with continuity of care. An RQIA spokesperson told CHP that a follow-up inspection in August, which is expected to be published in October, found no evidence of allegations that had been brought to its attention. The regulator added that it would be conducting a follow-up inspection in relation to issues identified in June at a separate unannounced inspection. The RQIA said: “In late June, during a routine unannounced inspection of Clifton Nursing Home in Belfast, RQIA identified concerns relating to aspects of care and service delivery at the home. Every month, RQIA inspects around 200 health and social care service, and where we identify concerns, as part of our normal escalation processes, we meet with providers to discuss our concerns, and to support quality improvement in these services.